Everything that could go wrong in trying to make this Balsamic Green Bean Salad recipe — went wrong. It wasn’t the recipe’s fault — truly. Let me start in the beginning (okay, okay, not that far back — laughing). Things were going along well. I was going to serve this with some Fine Chicken and a baked yam so I was juggling the different recipes — nothing unusual so far. So, now I’m ready to start the pot of water that the beans will blanch in. I added the cold water from the sink into the pot and put it on the stovetop to boil. Well, it boiled quite nicely to a very brown rusty color with sediment on the bottom. So, I put my ingredients aside and continued working on the rest of the meal. I came back to this recipe a week later as we had “water” issues. I put the green beans in the freezer as I didn’t think they would hold up for a week until we figured out the water problem. When I finally made the recipe I was using the frozen green beans and it didn’t work too well. It tasted okay but it should have come out great. 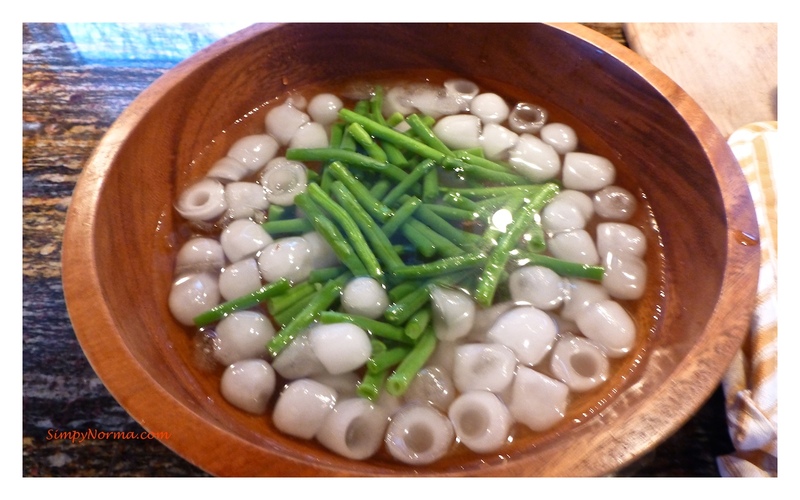 I had allowed the green beans to thaw, blanched them in the boiling water, drained them then added them to ice water (yes, ice water to stop the cooking process). The green beans came out limp-y. Boohoo! That’s how I felt. I went ahead and put the rest of the salad together and, like I said, it came out good but it should have been great. So — let’s look at this recipe, shall we? Bring a medium sized pot of salted water to a boil. 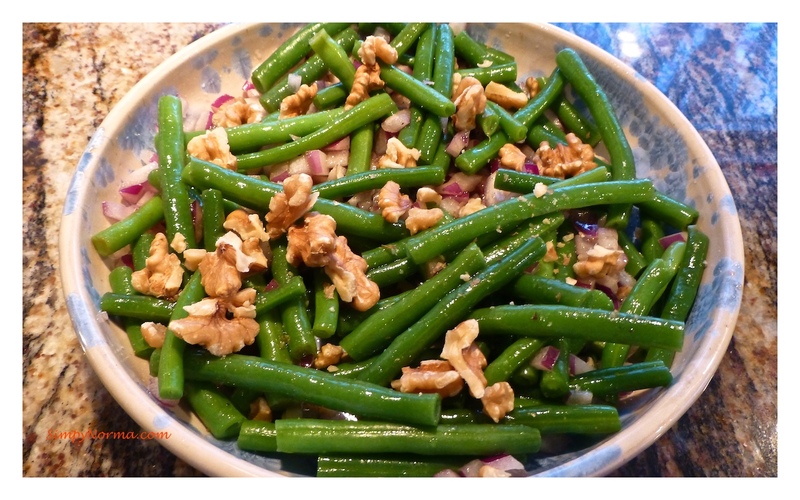 Add the green beans and blanch for 2-3 minutes. Prepare a large bowl of ice water while the beans are cooking. Drain the beans in a colander then promptly add them into a bowl of ice water for a minute or so. 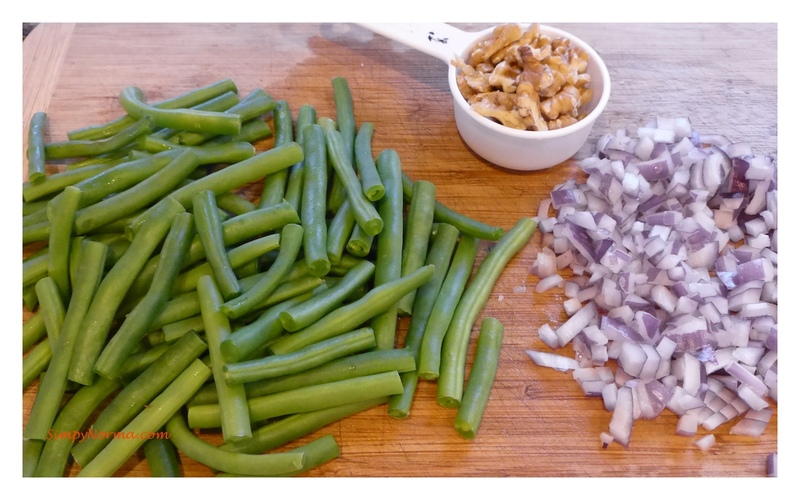 Add the green beans and the red onion in a bowl. Toss the olive oil in and toss to coat everything together. 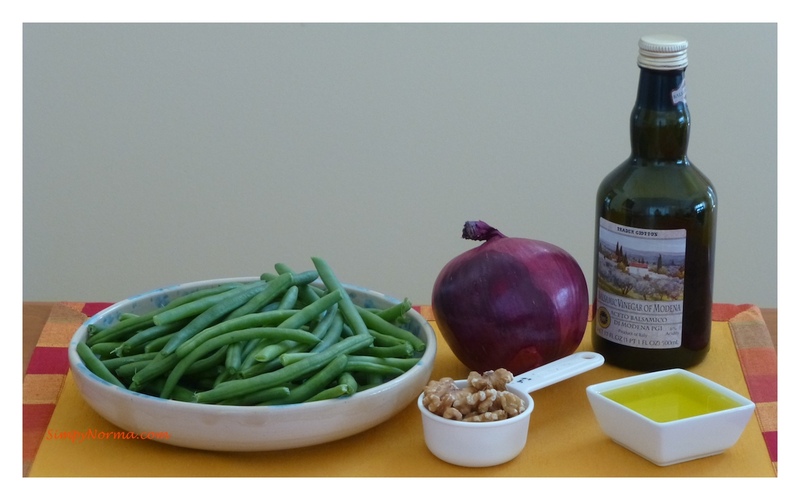 Add the balsamic vinegar, salt and pepper to the bowl with the green beans then toss to coat everything again. Toss the bean mixture with the chopped walnuts. I served mine with baked drumsticks and a baked yam. Delicious! 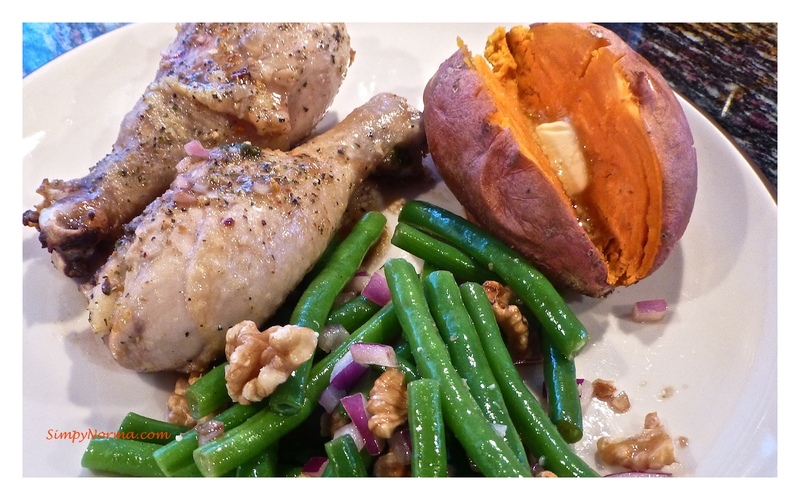 Special thanks to Paleo Grubs — check out their website! For a list of my categorized recipes, click here.